For the unfortunate, whose parents cannot afford constant medical care, supervision and a suitable environment, the likelihood of overcoming chronic illness is minimal at best. For the fortunate who are relegated to a daily routine of testing, dialysis and the uncertainty surrounding an organ transplant, hope is often a hard thing to muster. It was upon seeing this trauma Marang House was founded in 1998, a ray of hope and sunshine for South Africa’s seriously ill children. 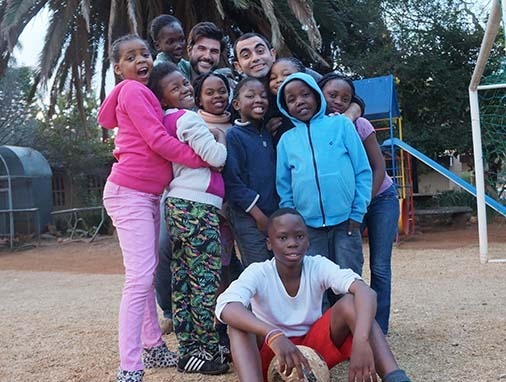 Marang House supports children from 4 years old to 14 years old providing them with a home environment where they can learn to manage their illnesses. These children suffer from serious illnesses that require constant monitoring and regular treatment at a tertiary hospital. We can accommodate up to 12 children providing them with clothes, housing, food and 24-hour medical care. However, most importantly the children are brought to the hospital each day where they receive not only training on how to manage their disease, but also traditional education as well.